How to play PS2 games on Pc: Nowadays everyone is interested in play games. Irrespective of genders and age people are play games. People are playing the regular pc games and get bored, so you can also play ps2 games on pc. So today I am here to explain “How to play Sony Play Station 2 games on your Pc or Laptops”. We can play ps2 games on pc using the free software called PCSX2. Now you had a doubt about How to play ps2 games on pc. 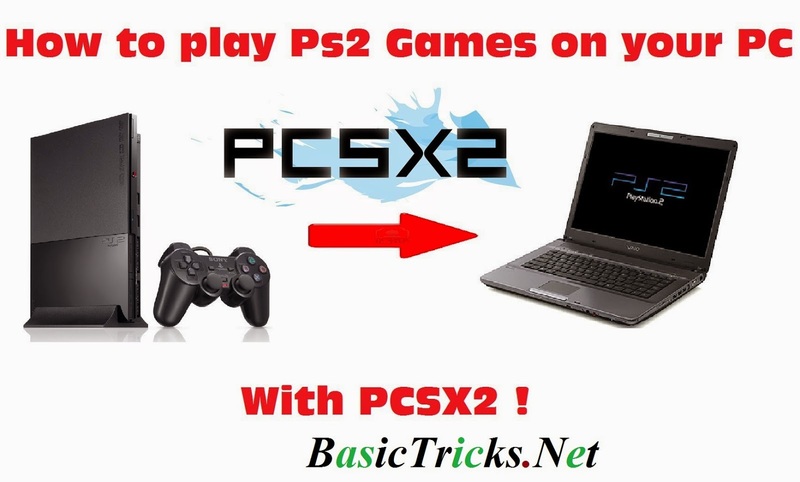 Don’t worry follow the below process, you will have a clear idea on how to play ps2 games on laptop and personal computer easily. You can buy these accessories for the cheap price. So this way you can play ps2 on pc. Like Bluestack – which is used to Download and play Android Games on pc like snapchat for the laptop. Bluestacks Emulator from here. How can we play ps2 games on pc / Laptop… So on. It comes with a best Preset to run on any pc. PCSX2 has some awesome prebuild or preinstalled Bios and Plugins to make play more exciting. Fastest Installation along with a lightweight application. All the controllers are preset. The USB Connection works like charm. There are many more awesome features of the which you can experience while playing the game for sure. The below Step by step process to play PlayStation 2 games on pc. Follow the below step and have a successful play of ps2 on your pc. 1) First of all, You need to download the PCSX2 emulator on your pc or laptop. Click the download button to download the software. 2)After downloading, install the software, then a screen will appear as below. 3)Now you should download Bios for the Emulator. 6) Create a Folder with “PCSX2” in My Documents. 7) Move the Bios files which you have downloaded to the PCSX2 folder. Store the pcsx2 files in the Same folder. 10) Choose the plugins as your system requirements. 11) Now select the Bios path. 12) After selecting the path, Click on finish. Now you will see the Starting window of PCSX2. 13) You can also change the Bios and Plugins by clicking config>plugin/bios. Now you can change. 1) You will need an ISO image file of the Game which you want to play. You may download from the Internet. 2) Now in the PCSX2 emulator go to ..>>Menu..>>CDVD..>>ISO Selector. Now select the game ISO file from your Hard Drive by clicking on Browse. Below Screen clear follow like that. 4) Now the game will start in the new window. Enjoy playing. Before going to play the game you need to set your control settings. Controller Settings are already set for USB GamePad. Therefore you don’t need to set it again but if you want our own control then change the controls by going to ..>>Menu..>>Config..>>Controllers(Pad)..>>Plugin Settings. Then a below window appears, then change as your wish. As I have explained the process to play ps2 games without Disc, Now here you can know how to play ps2 games on pc with the disc. So simply follow the below process if you wanna play with a disc. Insert the CDVD of the game. Now just click on CDVD>>>ISO selector>>>Browse>>>ISO file of the game. Now click on system >>> Boot CDVD. That’s it!! This is the process to play ps2 games on pc or laptop with Disc. 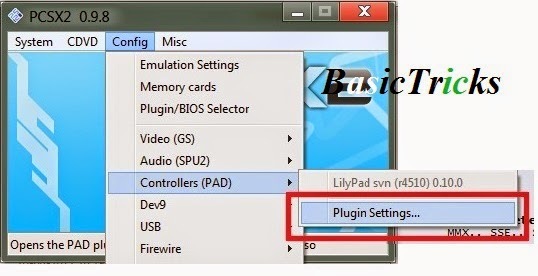 So these two processes can help you to play the ps2 games on pc without any problem. If there is an issue with the PlayStation games like ps2 gets struck or ps4 controller not charging then you can simply solve the issues with the ps controller and then start using these methods. Just follow and complete playing games on pc. Feel free to ask your doubts. So this is the completed guide of “How to Play PS2 Games on Pc”. So follow the steps properly and get success in playing the game on your Laptop. Meanwhile, Share the post with your friends. Feel free to ask your doubt. We are here to clear your doubt. Like Us on Facebook and Google+. I am crazy about this games now day i am playing candy crush saga and looking new game…..